Sebo Vacuum Cleaners are produced worldwide by Sebo Company which was founded by a team of German engineers. Little was known at the time that Sebo would emerge as the largest manufacturer of high quality of commercial upright vacuum cleaners in the world. Since 1978, Sebo has mainly focused on delivering its customers the basic benefits of a vacuum cleaner. Sebo Vacuum Cleaner is known for reliability, durability and consistent cleaning effectiveness with high filtration of dust particles. Sebo Vacuum Cleaners has the distinction of adopting the latest technological development in its products. Its products are user friendly, reliable, consistent and effective and provide great filtration with its vacuum filters. With all these features, it has become one of the most successful upright vacuum cleaner manufacturers in the world. All over the world Sebo Vacuum Cleaners has built a strong customer base that is satisfied with the high quality and durability of the product. The added advantage of Sebo Vacuum Cleaners is that it is certified by British Allergy Foundation and carries its seal. This proves be an important factor for the popularity of Sebo Vacuum Cleaners. The products offer an excellent filtration system which improves the air quality and reduces the allergy and asthma symptoms. Sebo Vacuum Cleaner takes the advantage of the HEPA filtration system which removes almost all of the allergens and dirt particles. These high end vacuums, apart from using best filtration technology, also feature powerful motors and electronic sensors. Anyone who has used Sebo Vacuum Cleaners has preferred to use it to others brands because of its trusted service and good cleaning ability. Some of the popular variants of the Sebo Vacuum Cleaners are as follows. SEBO X4 Automatic: This model maintains a high quality and is one of the most powerful and effective upright vacuum cleaners in the market. In spite of being an upright vacuum cleaner, it is a light weight product. The model includes an electronic sensor which adjusts the double brush for the thickness and the height of the carpet. It also features an electrostatic filter which helps in the filtering process. 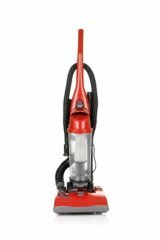 SEBO Felix 1 Premium: Sebo Felix 1 Premium is an excellent vacuum cleaner - very efficient, strong build and great design. It is engineered to perfection and the brush auto height sets according to carpet thickness and works very effectively. SEBO Upright Vacuum Cleaner: This model includes Dusting Brush, Crevice Tool and Upholstery Nozzle. It has Extension Hose and Hand Held Turbo Brush for effective cleaning of the nooks and corners. It features Standard S-Class Unit, Exhaust Filters and an Optional Unit HEPA Filter with a manual roller brush. The main reasons for the preference of SEBO Vacuum Cleaners include its low noise as compared to other upright vacuum and canister vacuum. Its excellent suction ability adds to the ease with which they can be used.